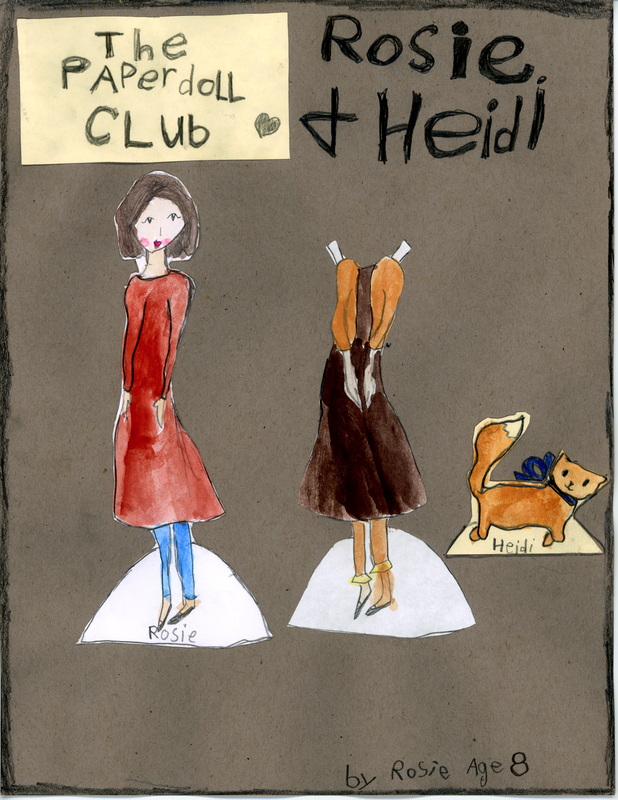 This week the girls named their paper dolls after themselves. Not sure why. Rosie named the cat after her baby sister, Heidi. Paloma’s girls are flowy and springy. I think you will like them. She also painted hers with watercolors. A little friend asked me to make a doll with pigtails, and that is where I got my inspiration to make Janie. 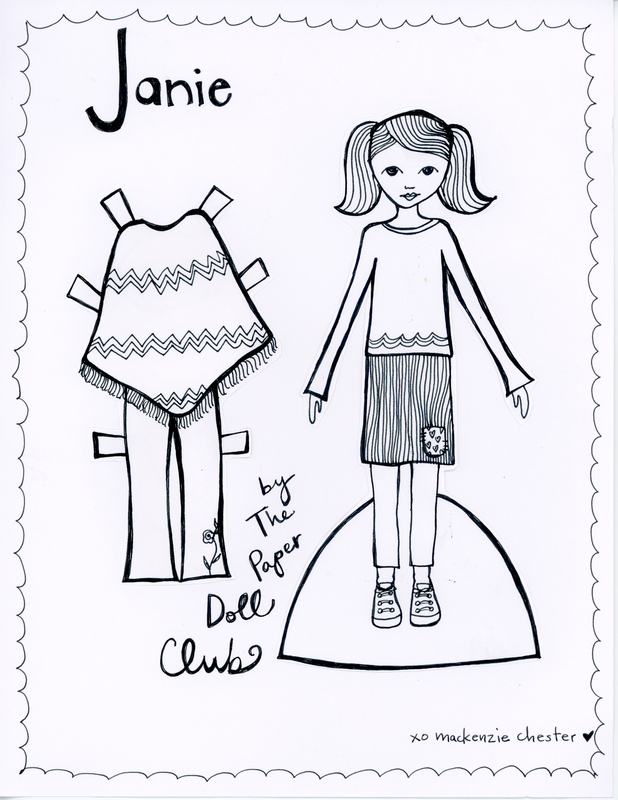 Hope you enjoy coloring her and adding her to your collection for The Paper Doll Club. 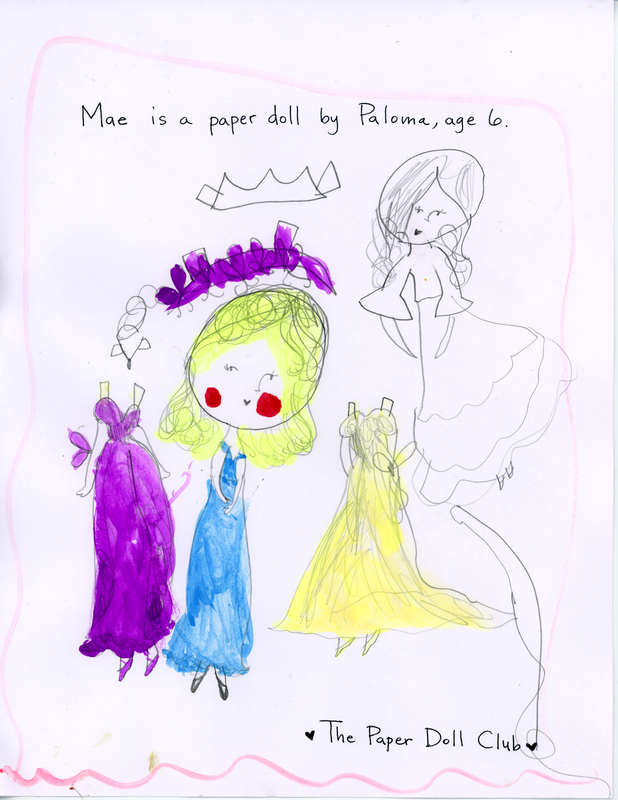 We love hearing your ideas for paper dolls! Sometimes it helps us when we are stuck.